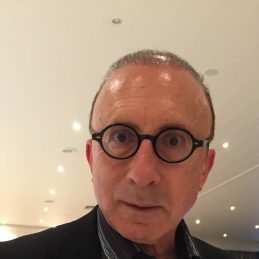 Elliot Goblet is one of Australia’s best loved and most original comedians. After cutting his teeth on the comedy club circuit during the early 1980’s, he was selected to appear on the talent show You’re a Star where he was discovered by Daryl Somers, host of Hey Hey It’s Saturday. This led to regular national television stand up spots (around 60) right through the 80’s and 90’s, as well as more recent appearances on shows like Hey, Hey, It’s Saturday, The Midday Show, The Big Gig and The Footy Show (NRL). He has also done many guest appearances on celebrity TV game shows and on shows like Burke’s Backyard and Neighbours. Thousands of public performances all over Australia and in 7 other countries including The Montreal Festival in 1989. A multitude of corporate events and also many private events such as weddings and parties. A best-selling book Business according to Goblet containing heavily nonsense coated business advice. An Aria nominated CD Internally Berserk containing lots of totally unrelated one liners plus Elliot Goblet in song mode. A regular segment on current affairs TV program Hinch giving Elliot’s “offbeat but on target” view of the week’s news. Support act for the band “America” in Australia. It was a big thrill for him to be called back on stage at the end of each night to join in the chorus of Horse With No Name. Host of the Qantas in flight audio comedy channel worldwide and beyond. Cameo role in the film Fat Pizza as a pesky health inspector.